Design of complex storm line and runoff from Rio Grande Place. 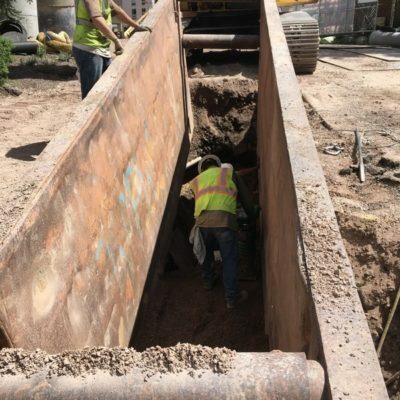 Designed and field verified existing infrastructure to eliminate any unexpected conflicts during construction. RFE designed Phase 2, which includes alignment of the road, addition of crosswalks, and traffic calming elements. 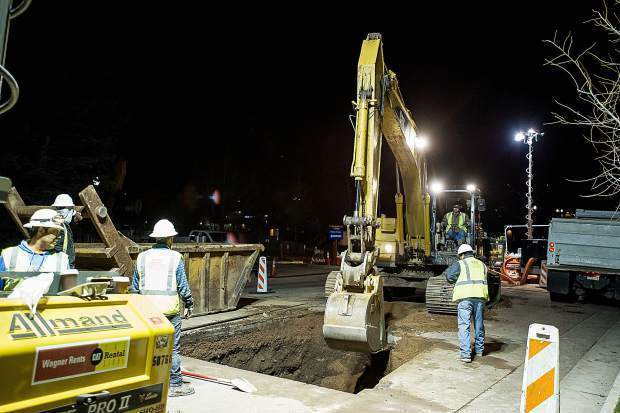 Coordinated with effected utilities to minimize disturbances to service. 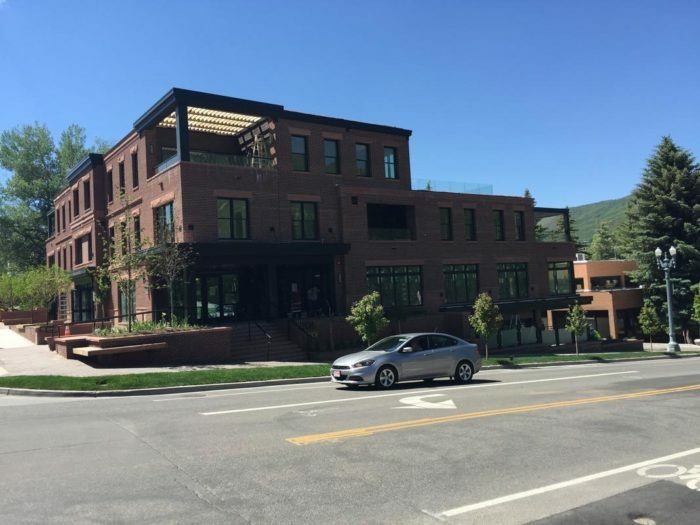 In 2017, RFE designed a complex storm line that is intended to serve the Aspen Police Department, the expanded Pitkin County Office Building, the Jail, Pitco Courthouse, the future City Offices, as well as runoff from Rio Grande Place. 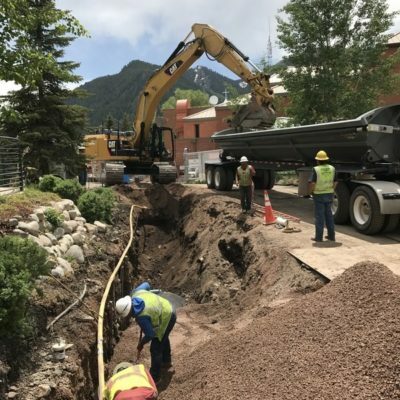 RFE performed extensive hydraulic modeling of the complete system to size inlets and pipes that will perform for the current and future needs. 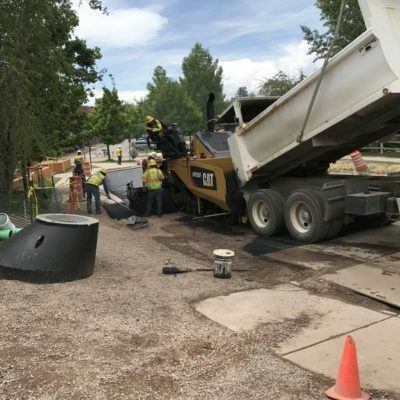 Given the complexity and critical nature of this section of infrastructure the design parameters and results were documented in a report submitted to the City Engineering Department. 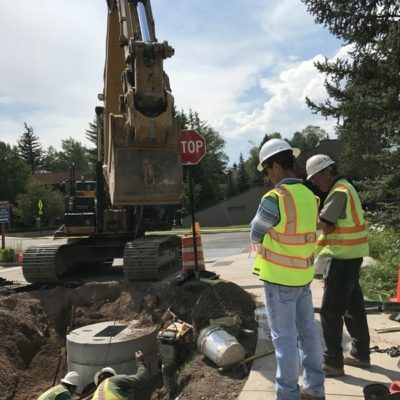 In addition to hydraulic challenges, the installation of the storm sewer around existing infrastructure posed additional challenges. 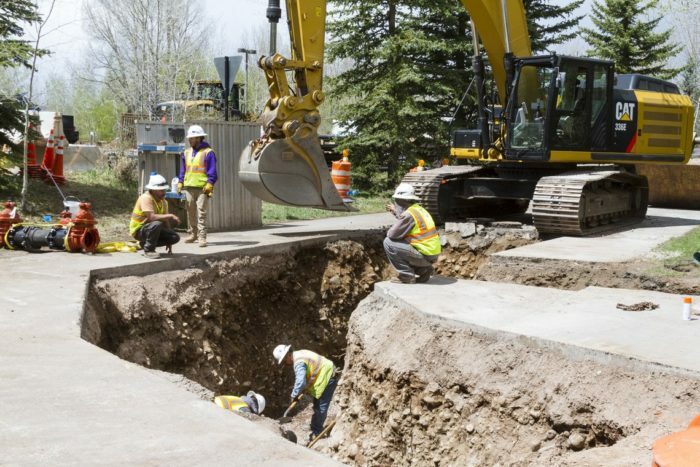 Potholing of existing utilities to verify depth allowed the design team to include the existing infrastructure in the plan, which provided no unexpected conflicts during installation. 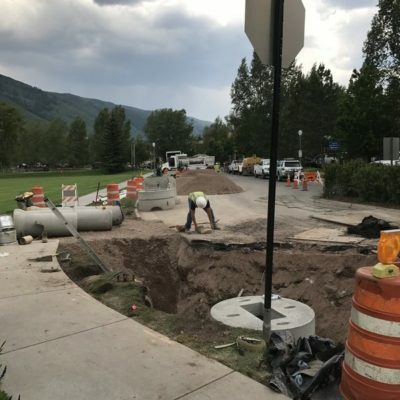 During installation RFE inspected and documented the construction to make sure the contractor was following City of Aspen Excavation and Construction Standards.